William Shakespeare also known as "The Bard" to his friends. He was born in the year 1564 and still has a major impact on society almost 500 years later. William Shakespeare has become a house hold name along with his most famous play "Romeo and Juliet" which has been in countless theaters across the world. Shakespeare's influence extends from theater and literature to present-day movies and the English language. He is also known as the greatest writer, and transformed the world's European subsequent theater by expanding expectations about what could be accomplished through characterization, plot, language and genre. 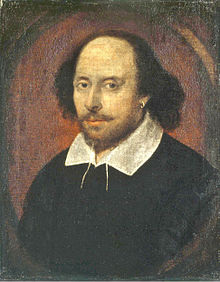 Shakespeare's writings have also influenced a large number of notable novelists and poets over the years. In one of Shakespeare's narrative poems he used 17,677 words: Of those, 1,700 were first used by Shakespeare. He is also very known for borrowing from the classical literature and foreign languages. He created these words by changing nouns into verbs, changing verbs into adjectives, connecting words never before used together, adding prefixes and suffixes, and devising words wholly original. He introduced in poetry two main factors - "verbal immediacy and the molding of stress to the movement of living emotion." One major example of his plot used in a modern day setting is "West Side Story," which is a modern day version of Romeo and Juliet. Feuding gangs in New York City; the Puerto Ricans's gang, The Sharks, and the American's, The Jets. Tony comes from the Jets (Romeo/Montagues) and Maria is from the Sharks (Juliet/Capulets.) Maria is suppose to get married to Chino (Paris.) but doesn't want to, especially when she meets her lover, Tony at a dance. They later find out that they're from different worlds but still try to make their love work. Maria's brother, Bernardo (Tybalt) and Tony's best bud Riff (Mercutio) get in a fight (the famous Romeo/Mercutio/Tybalt fight in Act III) Bernardo's girlfriend, Anita serves as Maria's Nurse. She is angered by Bernardo's death but is told to go to Doc's Shop (Friar's cell) by Maria to and tell Tony that hin and Maria will run away that night. The Jets and Tony are at Doc's teasing Anita and she became angered and said that Maria is dead and that Chino shot her because he found out about Maria and Tony. Tony is angered and desperate and runs to find Chino so he can shoot him, Maria comes running toward him because she isn't really dead and then Chino shoots him but Maria still lives. That is the end of the Jets and the Sharks feuding. Just like the death of the star crossed lovers ended the feuding families. Also another example is in She's the Man" with Channing Tatum, it has the same plot as his "Twelfth Night." The Duke in Twelfth Night and the soccer captain in She's The Man, is in love with Olivia in both. Olivia falls in love with Viola, who was disguised as Cesario in Twelfth Night, and Sebastian, her twin brother in both movies. Also in both the movie and the play, Viola is in love with Duke, who thinks she's a male in both. Another way the plots are similar is that, Duke Orsino enlists Viola whether she be disguised as Sebastian/Cesario, to help her win Olivia's heart, which was a mistake considering Olivia falls in love with disguised Viola. In both Duke ends up with Viola and Sebastian ends up with Olivia.